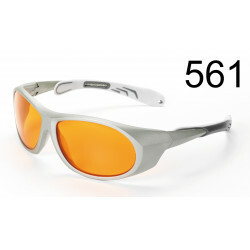 A fully adjustable stainless steel patient eyewear for close-to-the-eye aesthetic applications with a 0 % daylight transmission. 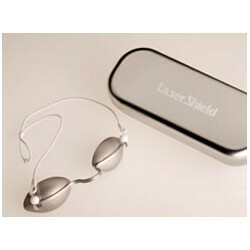 The laser technique is already used in many fields for applications in medicine. 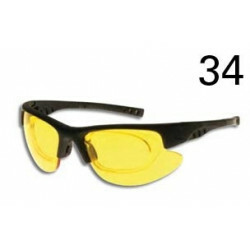 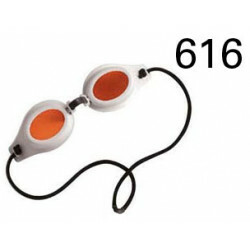 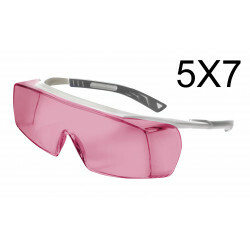 The eye protection for the treating physician is as important as the eye protection of the patient. 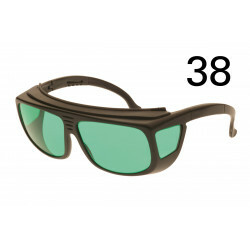 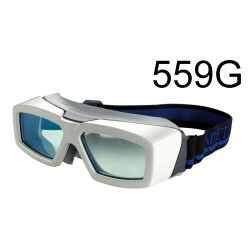 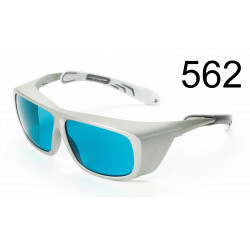 It can be chosen between light-tight stainless steel glasses or light-tight ceramic glasses. 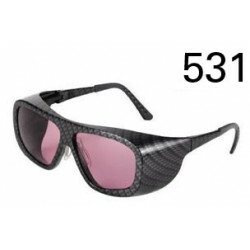 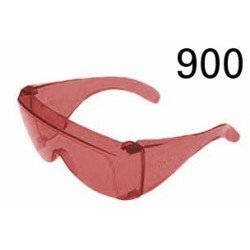 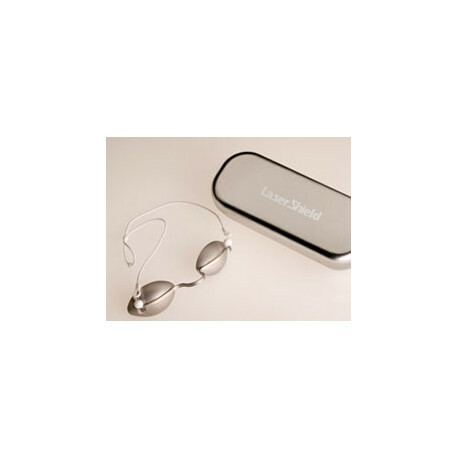 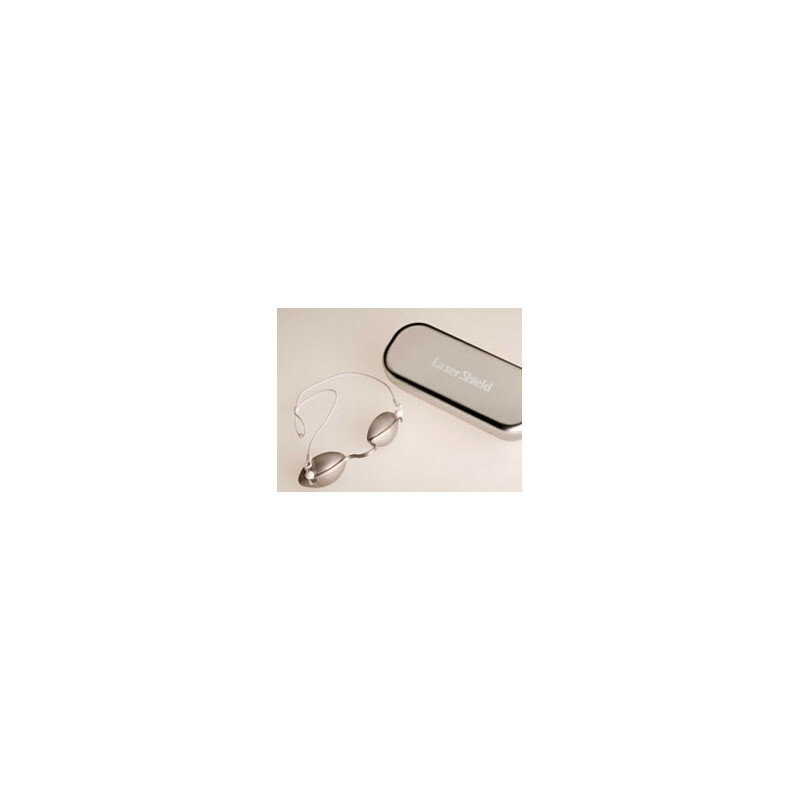 For use in operations in which the patient is fully conscious, ceramic glasses can be fitted with protective filters to permit some transmission of daylight.